This is the work of Chinese artist Nkzhangwang, who did a masterful job of weaving a Chinese visual sense into the famed Japanese mecha. Just look at it! Stunning. This "Chinese military commander style Optimus Prime" is Nkzhangwang's first uploaded work this year. 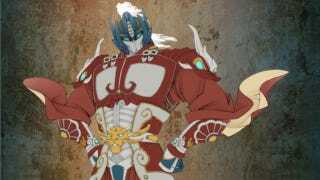 The illustration mixes the vibe of the Three Kingdoms era with Transformers. And goodness, does it ever work.